Face lift or rhytidectomy with neck lift can reduce and eliminate the sagging skin of your face, jowls and neck, improve facial lines and wrinkles, and restore your neck and jaw line to a more youthful appearance. Dr. Michael L Thornton uses traditional yet modern techniques in SMAS-removal and SMAS-plication by concealing your incisions that are well hidden within the natural creases around your ears and hairline. Most patients benefit from complete facial rejuvenation, whereby multiple facial plastic surgery procedures are performed simultaneously during your face lift including concurrent brow lift, blepharoplasty, facial fat transfer, and / or laser skin resurfacing. Most clients will benefit from a traditional or full face lift but there are circumstances where a mini face lift may be appropriate and beneficial. This less invasive facelift is perfect for a patient who needs only a small amount of facial lifting, as this technique utilizes a shorter scar and provides for a lesser degree of skin movement and neck rejuvenation, as a mini face lift predominately concentrates on elevating the jowls but does not necessarily improve the neck. 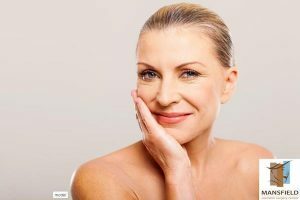 A newer and more advanced technique in facial rejuvenation is called laser-assisted or ThermiTight Face Lift. This advanced technique utilizes our Thermi RF platform to heat the soft tissues of the jowls and neck with carefully performed liposuction. ThermiTight Face Lift is a minimally invasive procedure that can be performed alone or in conjunction with either CO2 laser skin resurfacing. It is considered a lesser procedure as compared to a standard surgical face lift and is primarily used on patients needing minor improvements. What can I expect during my face lift consultation? 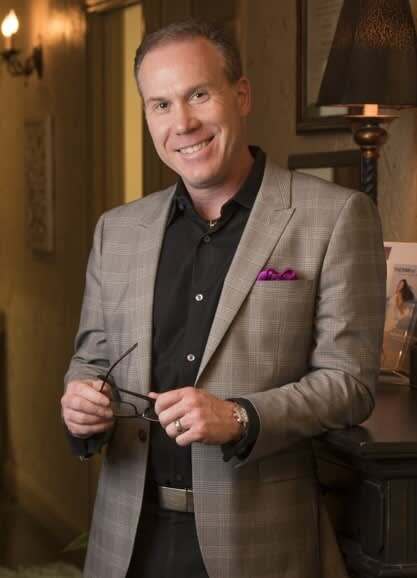 During your face lift consultation, you will meet privately and exclusively with Dr. Michael L. Thornton where you will collectively share in the decision making process about your personal needs, desires, and expectations. Although well qualified, we choose not use patient coordinators, nurse practitioners, or physicians assistants to perform your consultation. Dr. Thornton will complete a thorough medical history and perform a careful examination of your face and neck to see if you are an acceptable candidate to undergo a face or neck lift procedure. Where will my lower face lift surgery take place? Face lift and neck lift procedures are performed at Baylor Surgicare at Mansfield, a AAAHC certified out-patient surgery center, located in Mansfield, Texas. On average, the procedure will take 3 – 5 hours to complete, depending upon the complexity of the case and if other facial plastic surgery procedures will be performed simultaneously. In addition, all lower face and neck lift procedures are performed under general anesthesia with board-certified anesthesiologists and professional anesthesia providers.